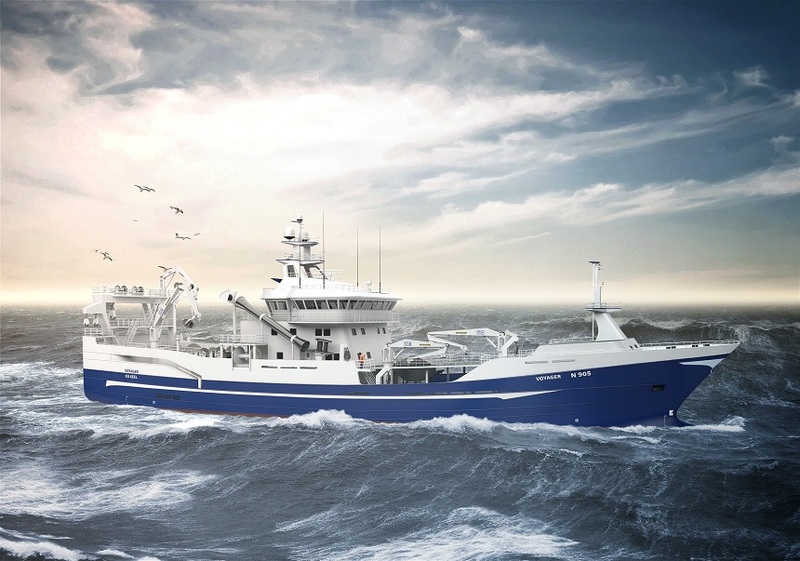 Voyager Fishing Company, Ltd., based in Kilkeel, Northern Ireland, has ordered a new trawler/purse seiner, designed by Salt Ship Design in Norway and to be built at Karstensens Skipsværft in Skagen, Denmark. The newbuilding will be powered by a propulsion package comprising a MAN 12V32/44CR main engine, a 4,400-mm ø MAN Alpha VBS 1100 propeller, a two-speed RENK Type RSVL1000 gearbox, and an Alphatronic AT3000 remote control system. Vessel delivery is scheduled for August 2017. Director Tage Rishøj, Karstensens, stated that Voyager will be one of the most powerful pelagic-fishing vessels in the world with a bollard pull of more than 120 ton and commented on its very high efficiency when comparing the bollard pull with the size/power of the engine. 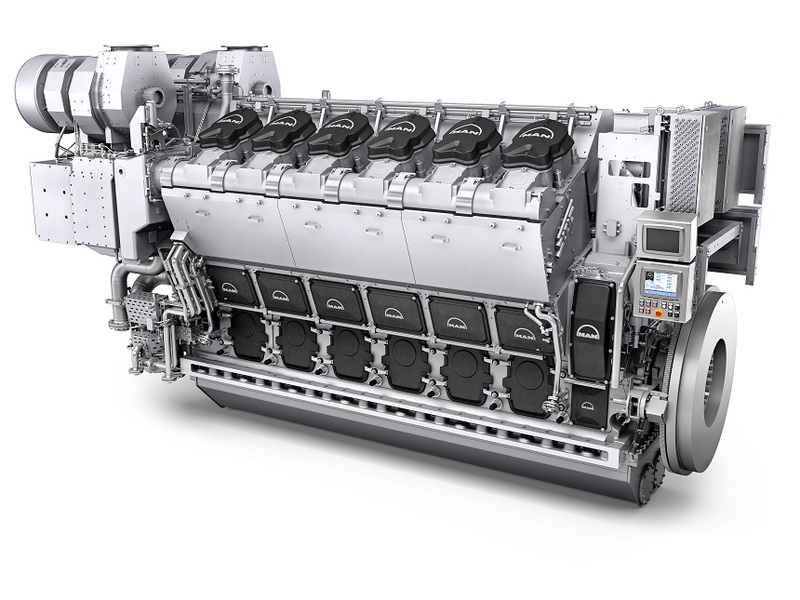 MAN Diesel & Turbo reports that this order is its first for a 12V32/44CR type with a power rating of 7,200 kW, making it the hitherto most powerful model the company has delivered to the pelagic fishery market. The new Voyager will catch fish in the North Atlantic in an area known for its challenging weather, a primary reason behind the owner ordering such a powerful engine with such a large bollard pull. The Voyager will replace the existing 75.6-metre vessel of the same name that Karstensens built in 2010, and represents the largest vessel built at the shipyard to date. Upon completion, the 86.4-metre fishing vessel will have a loading capacity of more than 3,200 m3. Notably, when comparing the two vessels, the newer model’s larger, optimised propeller has meant that the shipowner has been able to employ a smaller engine, despite the larger size of the newbuilding. MAN Diesel & Turbo reports that the Voyager order is just the latest in a string of orders the company has landed in the fishing segment for the 32/44CR engine. These include orders for European tuna boats, and North American and Scandinavian trawlers, of which two of the latter have been delivered by Karstensens already this year. The two-speed RENK gearbox offers both economic and environmental benefits, particularly for fishing vessels and other vessels having a multiple operational profile or reduced transit speed. As a result of the vessel’s floating frequency system (from 50 to 60 Hz), the propulsion system is also able to operate in ‘shaft alternator mode’ with reduced engine and propeller speed in both steps. With this part-load optimisation feature, offering up to 16.7% lower engine/propeller speed in both steps, the fuel consumption is further reduced. The gear box features two gear-ratio settings, which facilitate a reduced propeller speed at an optimal engine speed. This allows the electric power generation for the PTO on the gearbox to remain uninterrupted in both trawling and transit modes in combination with the floating frequency (from 50 to 60 Hz). This, in turn, provides the highest efficiency in all operation modes, ensuring a reduction in fuel consumption of up to 20%, depending on the vessel’s operation profile. Furthermore, cavitation and noise are reduced when operating at low propeller rpm, which improves the vessel's fishing capabilities. The MAN 32/44CR engine also boasts of a special, patented feature for common-rail engines, called boost injection. SaCoSone, the engine’s safety and control system, is able to detect a load increase at an early stage and improve the load response of the engine significantly by activation of a boost Injection in the common-rail control. If an engine detects a sudden load increase, it changes the injection timing and increases the rail pressure to about 200 bar. This change leads to higher engine torque, a reduced speed-drop, a short recovery time, and no additional air consumption. The propulsion control system specified for the Voyager is MAN Diesel & Turbo’s new and advanced Alphatronic 3000 generation. The installation will be configured for complete control station set-ups at the main bridge, the starboard and port indoor bridge wings, aft bridge and the engine control room. As a special feature for optimised operational economy, the control system is specified with two-speed gear selection – in addition to the load control for floating frequency operation. The MAN Alpha remote control system AT3000 is highly user-friendly and intuitive with the ability to switch between the two speeds ensuring that the vessel always operates with the highest possible efficiency. MAN handles all interfaces to clutch control, PMS, etc. Additionally, the propeller speed change is performed automatically with the shaft alternator engaged and in full operation. The high-efficiency (Alpha High Thrust) AHT propeller nozzle has been specified in this case for ‘headbox’ mounting. 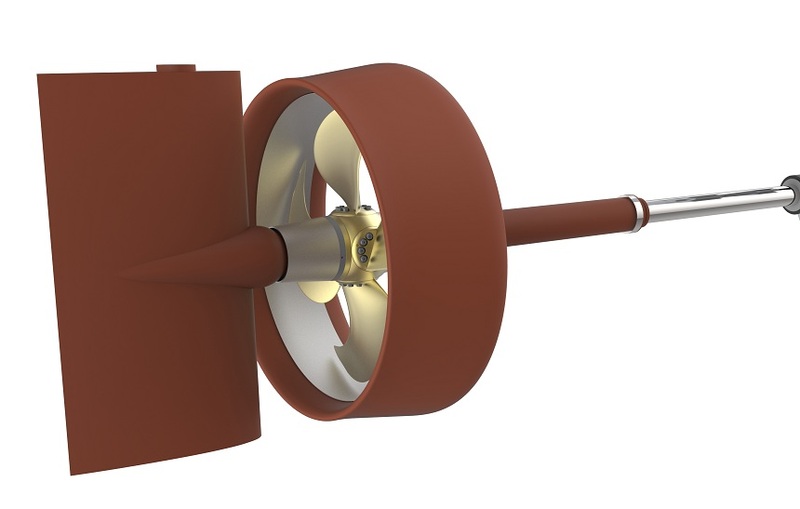 The optimisation and integration of the large propeller and nozzle into the vessel’s aft-ship design was carried out in close cooperation with Salt Ship Design. A propeller- and propulsion-optimised aft-ship solution delivers energy optimisation, resulting in fuel-consumption savings and lower exhaust-gas emissions. The fine tuning of the final propeller-blade design has been based on a careful assessment of the Voyager’s predicted operational power/speed/duration profiles, while taking onto consideration the compromises involved in finding the perfect design solution for, for example, high-speed steaming and maximum pulling power efficiency at trawling speed with suppression of cavitation and noise.